February must be the month of love. Or the celebration of love. Valentine is one that everybody knows about, but this February seemed to have more weddings than usual. At least to me. After the prewedding session with Winda and Jim, I was then asked to shoot the wedding ceremony of Nadya and Jean-Luc on the 29th of February. I don’t do that many wedding photography assignments, especially the large scale one. But I’m very comfortable doing a smaller, more private wedding photography. 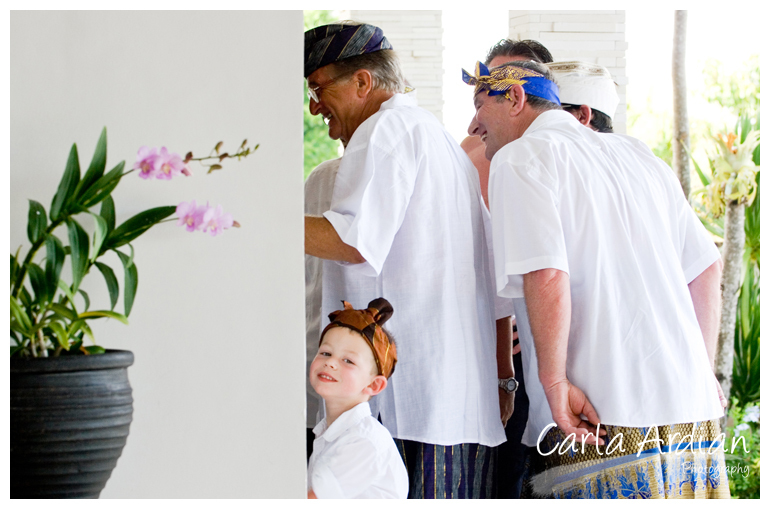 Like the one Nadya and Jean-Luc had at one of the most beautiful villas in Bali – Pondok Linayan in Nusa Dua. I made the photos of this gorgeous villa a couple of years ago when it was just freshly built (I still need to blog that one too). The owners, who are good friends of ours, thought I could help shoot this wedding, too. So it was super lovely. 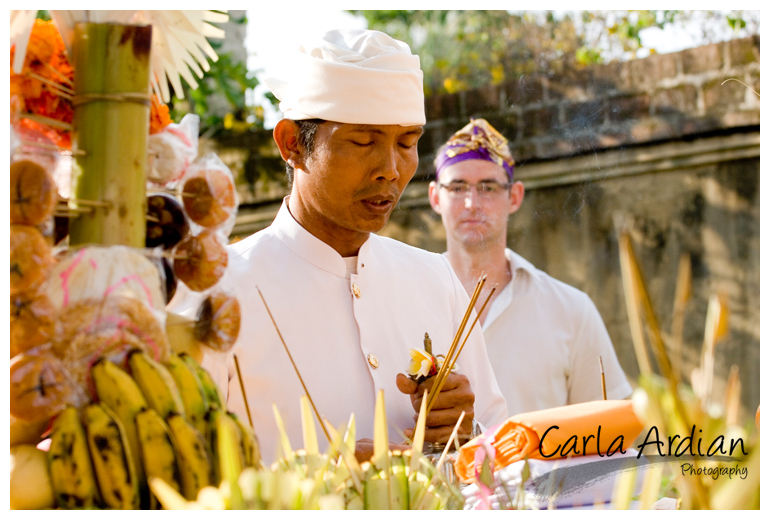 The wedding was a cross cultural event between Bali and France. The beautiful bride and groom are both French, all the guests are French (dressed in traditional Balinese costumes), the ceremony was done completely in Balinese Hindu way, there was a group of little Balinese dancers who entertained the guests with their graceful moves and the last bit: opening champagne and enjoying yummy finger foods like saucissons, etc. was definitely a French culture. Totally interesting. With the magnificent view of Nusa Dua hill overlooking the vast sea, it couldn’t have been any more perfect. Well, without further ado, here are the photos.